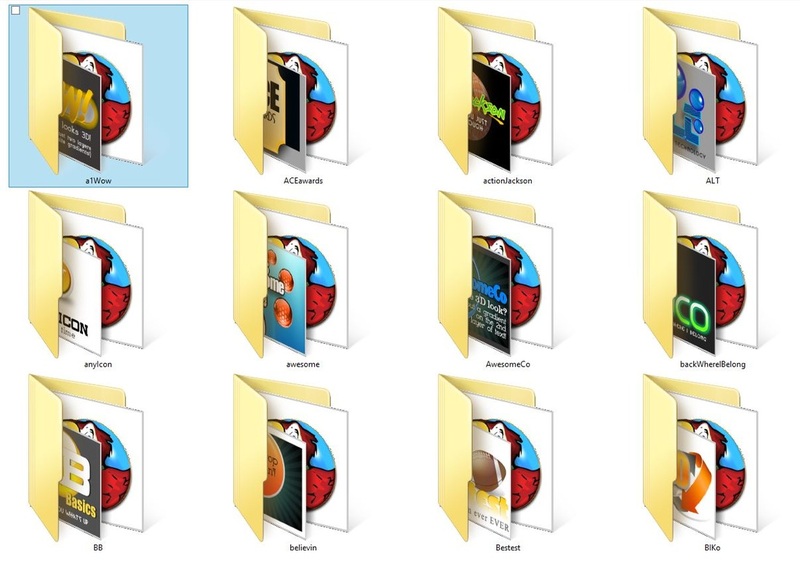 The Creator stores all of the parts of a template in it's own folder. A template may contain lots of graphics, and text- it's totally up to you. Every image you add to a template is added to that logo's folder, nowhere else. If you make a logo with 7 different images, you will end up with 8 files total in that logo's folder. Why 8? One file is added automatically, it's called a ".TLC" file. These are what logo folders look like. Each folder is an individual Logo. • The Basic Creator comes with hundreds of templates.